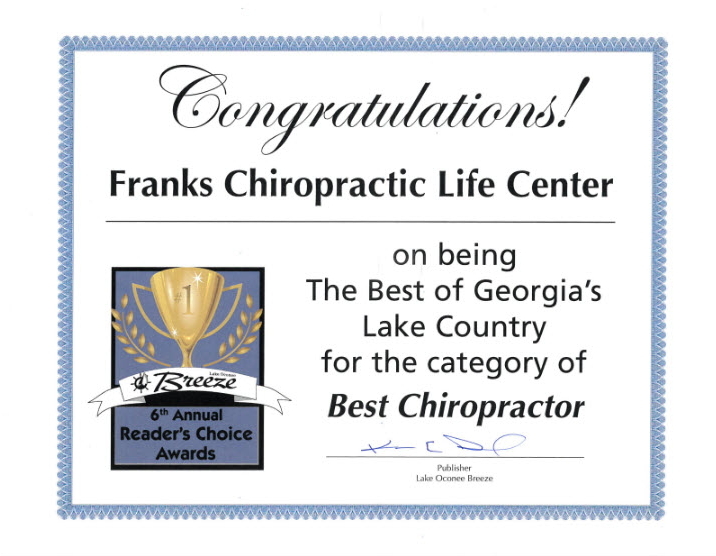 At Franks Chiropractic Life Center, our approach to health and human potential is simple. We believe that your health is your most valuable possession for without it you simply can’t function fully. This thing called health doesn’t come from a pill or potion, but from within you. Each of us have a “Doctor within” or as we call it, “Innate Intelligence”. This is the intelligence that created you in the first place, heals your cuts and bruises, cures your colds, flues, and more, and works 24/7 to constantly heal and recreate your body. It’s only when it is interfered with that it can’t do its job properly. That’s where the chiropractor comes in. 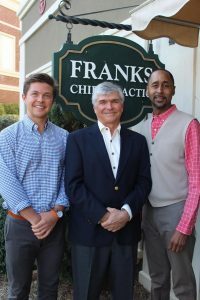 We locate and remove the nerve interference in your spine that impedes the communication from your brain to your body, allowing you to function at your highest level. That’s what true health is all about. Bottom line…your health STARTS with a healthy nerve system. That’s our job. We invite you to try us out. Thousands of people have and will attest to what we say.